Regardless of whether addiction is a brain disease or a learning disorder, addicts are compelled to use ever increasing amounts of drugs and then one day they accidentally take too much or combine with other drugs and die. This is the tragedy of addiction. Is it true? Hardly! In fact, overdose is only loosely coupled with addiction. Most people who overdose are just experimenting or dabbling in drugs and most drug addicts never overdose and are always well aware of how much drugs they are doing and what amount is safe, despite what is shown in movies and told in stories. In fact, most overdoses are intentional suicides. Usually the drug user is going through a tough time in life (as many of us do) and then one day decides to play ‘Russian Roulette’ with whatever drugs they have on hand. Often it is a deadly combination of opiates, alcohol, benzodiazepines, and even huffing drugs. The goal is usually a ‘cry for help’ though sometimes the outcome is fatal. Once we understand overdose as a suicide attempt and not a symptom of ‘addiction’, we can see how a policy of ‘addiction treatment’ is not only ineffective but harmful: it targets the wrong population, since most overdoses are by people who are just experimenting and cannot possibly be considered ‘addicted’, and so are missed. And much ‘addiction treatment’ is 12 Step based and teaches that the user is ‘powerless’ to the drug. As a result, they may mistakenly believe they are powerless to their cravings, and then find themselves unable to resist the urge to overdo it the next time they are faced with one of life’s unavoidable frustrations or disappointments. Actors especially are vulnerable to this dynamic, and many have died soon after attending AA (e.g. Philip Seymour Hoffman and Corey Monteith). More importantly, there are many people in chronic pain. Crackdowns only make life more miserable for these people who need the drugs to function. It’s simply wrong to characterize someone in pain as ‘addicted’ to opiates even if they are dependent on them, if their life would be miserable without it. Are these people at greater risk of suicide? Of course, as anyone in constant pain can attest the thought is never far away. 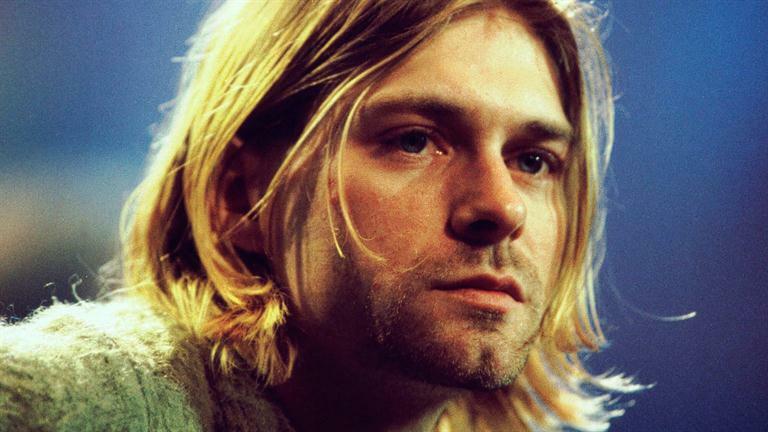 Kurt Cobain had chronic stomach pain for which he took opiates, and killed himself soon after an intervention in which he was told he would have to stop. Suicides by people in chronic pain should be in a separate category and should not be held up as evidence for the severity of the ‘disease’ of addiction — the tragedy of which is that it afflicts otherwise healthy people. But this is just Big Book propaganda. These people were generally having too much fun drinking and drugging to ever seriously consider suicide except perhaps as a manipulation ploy. But now they can try to convince newcomers that they are in fact powerless. In fact if the newcomer denies it, they will accuse them of lying and being in ‘denial’. They may be told: “You are full of resentments that are deadly for the addict. If you don’t believe it, go home and keep drinking/drugging!” Sometimes people actually follow the advice, and the morbidity is promoted as evidence of the disease. I believe the evidence will show that AA attendance greatly increases overdose rates. Anyone who is depressed should seek professional help and avoid AA at all costs. Parents of children who died of an overdose are quick to blame ‘addiction’ even if there is little evidence of long term drug use, and in fact often have to concoct a story that they were unaware or in denial of the extent of the ‘addiction’. This fits in perfectly with the 12 Step disease model and such parents are often persuasive apostles for the group, even teaching other children about the dangers of the ‘disease’ or testifying before Congress. But the simple truth is that the child was only dabbling in drugs, and one day experienced an insult, failure, or disappointment and decided to overdo it. The parent much prefers the disease theory over the possibility that they inadequately prepared their child for the vicissitudes of life. The truth would be obvious in many cases simply by reviewing the child’s social network feed. Every time the news shows a story about the high rate of overdose, they attribute it to ‘addiction’. However, this connection is simply unjustified. Most of these people are intentional suicides. Often people start using drugs and alcohol because they are unhappy and having suicidal thoughts, and it is easy to see how this could quickly lead to a regrettable action. Also many people claim ‘addiction’ to conceal a slow motion suicide, especially if they are approaching the age when ‘doing whatever you want’ just won’t cut it (and ‘growing up’ has little appeal). If excessive drug use is seen as a symptom of unhappiness instead of a disorder on its own, we have a better chance of being able to intervene more quickly and offer help — help for unhappiness, not ‘substance abuse’. I’m in agreement with Bill Dinker from 14 November 2014, where are the references to any research that supports your claims. I would be most interested in reading your research material. Perhaps, your article is just supposition on your part? Wow you are ignorant. You really need to educate yourself. I’m wondering what research supports your claims in this article? I would very much enjoy reading it. Thanks for commenting on people with chronic pain. Politicians who want to look “tough on crime” throw law-abiding people with severe pain under the bus all the time. (Recently, a bunch of drugs were re-scheduled, up, making life just a little bit harder for pain patients). Chronic pain patients are treated like criminals just because criminals proclaim “drugs made us Turn-to-Crime(™)” Like we should believe things admitted &/or convicted criminals say and base public policy – and medical care for law abiding people with severe pain – on what these losers say. Unlike AA/NAers, who don’t have a medical problem and therefore have nothing to stop them from running around demanding funding for programs and government policies to conform to their unscientific beliefs, actual pain patients deprived of medication for pain stay home, alone, unable to get off the couch and do anything because they are *Suffering*Real*Severe*Pain* ! People with actual severe chronic pain do not form organizations, do not flood public officials with demands, do not go on TV to spread unscientific baloney – and so are invisible to the public and to politicians. Worst of all, people with actual severe chronic pain live with the very real fear that politicians listening to a bunch of admitted and convicted criminals will just outlaw pain treatment making day-to-day functioning impossible. One other thing – chronic severe pain patients – unlike supposedly anonymous AAers like Mikey B at the White House – have a strong motivation to not go public. If someone who requires opiate medications to quell pain so that this person can engage in activities like work, exercise, recreation, child rearing, etc., gets labeled as an “addict” that person may find that they can’t get prescriptions any more. Doctors are also afraid because the FDA leans heavily on them to minimize prescribing. Many doctors flat out refuse to write any opiate prescriptions out of fear from contacts with the FDA. This results in chronic severe pain patients consulting the few doctors who are willing to prescribe – who are then labeled by the FDA/politicians/media as “pill mills” that cater to addicts. And when the FDA busts a doctor for crossing the secret line to “overprescribing” they make sure the media reports it – frightening doctors by example. Whenever they do a story on opiates they show someone with chronic pain and say they get addicted. I think Al Jazeera just did a show about opiates in Maine. The guy says, “I had chronic pain but opiates are the devil!” (Holy satanism!) Then they show a bunch of young addicts in rehab claiming to know ‘someone who died of the disease’ and repeating a bunch of other propaganda. Like you said, probably have a long history of lying and manipulation well preceding their drug use. Of course we believe every word. It’s not just that self-proclaimed “addicts” claim on TV that they “would have died” (like the guy in a stupid cap on a currently-running McRehab facility TV ad). Worse than that is that in many places, a history of “addiction” is a pre-requesite for a job as an “addiction counselor”. And these are the “professionals” that shape the perceptions of the public and politicians about the nature of “addiction”. In most cases, a patient going to a doctor and informing the doctor that “I have appendicitis” or”I have lupus” or “I have arthritis” is not treated by the doctor as some kind of expert on appendicitis or lupus or arthritis. In all cases other than “addiction”/”alcoholism”, the US medical establishment is suspicious of patients with DIY diagnoses. In fact, doctors are somewhat less likely to believe that someone has a disease when that person seems to want to believe they have a particular disease. But whatever the “addiction” industry says about drugs, alcohol, social interactions – is accepted by US doctors & medical establishments without question. I would love to know why American doctors throw away their own protocols in this one area.